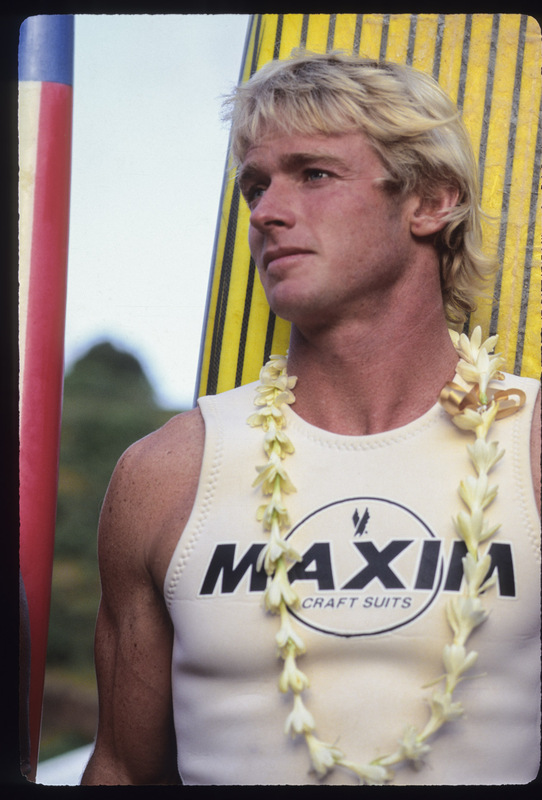 I shot this of Cheyne Horan during an early Eddie Aikau opening ceremony. Cheyne was a member of the bronzed aussies and was runner up to the world champion four times between 1978-1981. Many people believe it was due to riding extremely weird equipment for that time. It was super cool he was trying to do something different but it may have cost him a world title or four.